American Health Journal Radio was a natural segue from the award-winning public television show, American Health Journal. AHJ currently airs nationally on public television stations reaching over 90 million viewers and delivering 74% of the top 100 markets. The radio show was created with the best of the American Health Journal interviews and are carefully chosen for general listener interest and the latest medical innovations. The show is then edited into a 60-minute program. The physicians on the show are among the 6,000 medical interviews in our library featuring the latest medical topics. Each segment talks about the health issues that listeners and their families are dealing with every day. This program also satisfies those listeners that are eager to hear about the latest innovations presented by noted researchers and Nobel Prize Laureates in medicine. After 25 years of educational healthcare production, we understand through experience what people want to hear and how to deliver it in a simple-to-understand format. For information on content and sponsorship, please contact Roland Perez at 760-836-0733. 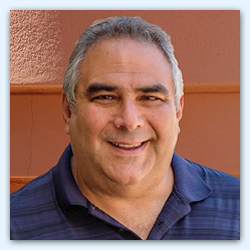 Roland Perez is a Veteran television producer and director with over 600 television shows to his credit and is listed in “Pioneers in Television.” After graduating from Hollywood High School he attended USC Film School before going to work at NBC nework in Hollywood and Burbank. He also spend 10 years with the Los Angeles Times producing marketing presentations before becoming a broadcast producer. 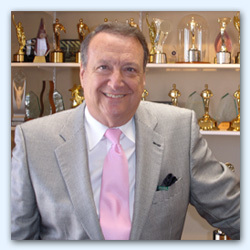 He’s proud to have received over 100 national and international awards for Broadcast Excellence. He currently serves as the Executive Producer for several television shows airing on PBS entitled the “American Health Journal”, “Innovations in Medicine”, “Discoveries in Alternative Medicine” & “Coping.” American Health Journal has reached over 97 million viewers on PBS. For more than twenty years, host and narrator Ralph Squillace has been an on-air personality on Palm Springs, California radio. Ralph has also served as public affairs director for the Marker Broadcasting group, interviewing such notable people as actor Patrick Warburton, singer Lorna Luft, tennis pro Rosie Casals and pianist/philanthropist Bill Marx, adopted son of Harpo Marx. Other work includes being the regional advertising voice for the BNP Paribas Open tennis tournament. Professional awards include a “Best of Radio” ADDY Award. He also earned a regional APTRA News Award from the Associated Press. 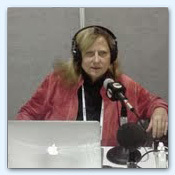 Barbara Beach is an Associate Producer for the American Health Journal and a Senior Producer for Radioactive Broadcasting Network, The Military Appreciation Network and Armed Forces Radio. Barbara was a reporter for The Chicago Tribune and Entertainment Writer for the Los Angeles Daily News before going into Broadcasting in San Diego. Barbara has written 3 books and published more than 5,000 articles in national and international magazines.